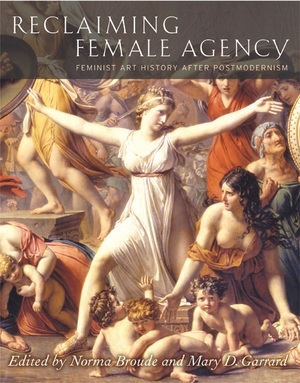 This volume is the third in an influential series of anthologies by editors Norma Broude and Mary D. Garrard that challenge art history from a feminist perspective. Following their Feminism and Art History: Questioning the Litany (1982) and The Expanding Discourse: Feminism and Art History (1992), this new volume identifies female agency as a central theme of recent feminist scholarship. Framed by a lucid and stimulating critical introduction, twenty-three essays on artists and issues from the Renaissance to the present, written in the 1990s and after, offer a nuanced critique of the poststructuralist premises of 1980s feminist art history. Norma Broude, Professor of Art History at American University, is author of Impressionism, a Feminist Reading: The Gendering of Art, Science, and Nature in the 19th Century (1991), among other books. Mary D. Garrard is Professor Emerita of Art History at American University and author of Artemisia Gentileschi around 1622: The Shaping and Reshaping of an Artistic Identity (California, 2001), among other publications. Broude and Garrard are also the editors of The Power of Feminist Art: The American Movement of the 1970s, Power and Impact (1994). 13. Mary Cassatt: Modern Woman or the Cult of True Womanhood?